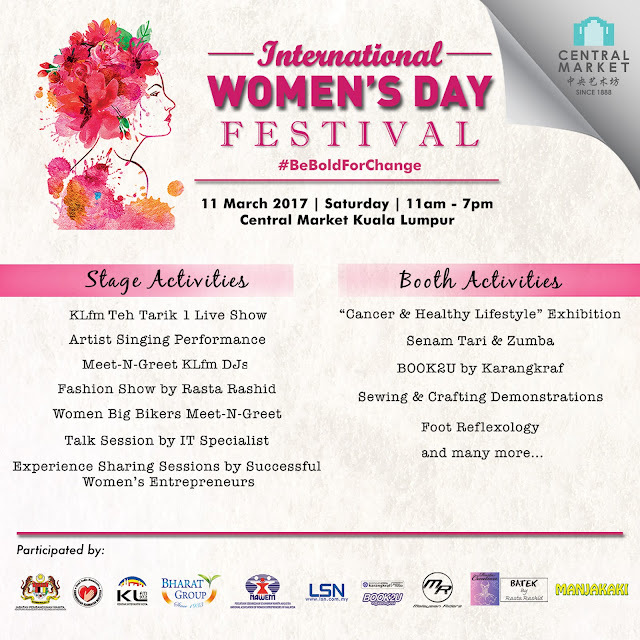 In conjunction with the upcoming International Women’s Day, Central Market Kuala Lumpur will be bringing a one-day festival packed with interesting booth activities and stage performances to celebrate and honour the ladies. 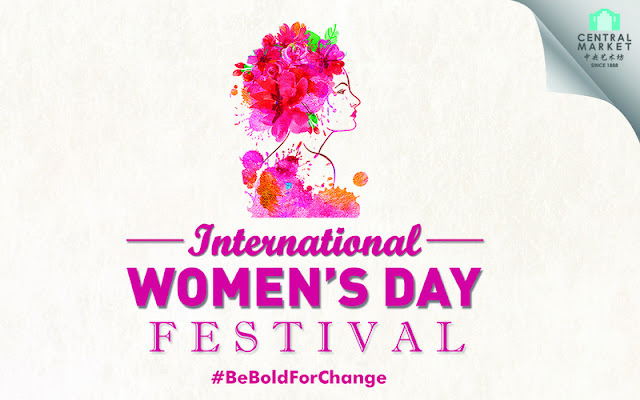 Beginning at 11am, International Women’s Day Festival (IWDF) will feature a series of empowering talks about successful women entrepreneur, cybercrime, and also experience-sharing session at Central Market Outdoor Stage. Besides just talks, the stage will be made alive with a bright fashion show by Malaysia’s renowned female designer Rasta Rashid, presenting gorgeous collections of batik apparel as well as ballet tutus and costumes. Visitors should not miss the chance to join a meet and greet session with KLfm radio announcers while having fun to singing performances by local artists during their life recording of ‘Teh Tarik 1… Tarik Sampai Berbuih-buih’ with Cameron Bharat Plantation at the event. Women bikers from the Malaysian Riders will also be making a special appearance, providing opportunities for visitors to take photos with their superbikes. Open to public for free; she hopes the event will attract more visitors to enjoy all the charming line-up of activities prepared. Other booth activities for IWDF include cancer and healthy lifestyle exhibition, sewing & crafting demonstration, special foot reflexology and energetic Senam Tari and Zumba session for visitors to experience. Karangkraf’s book truck will also be bringing special offer at the event. 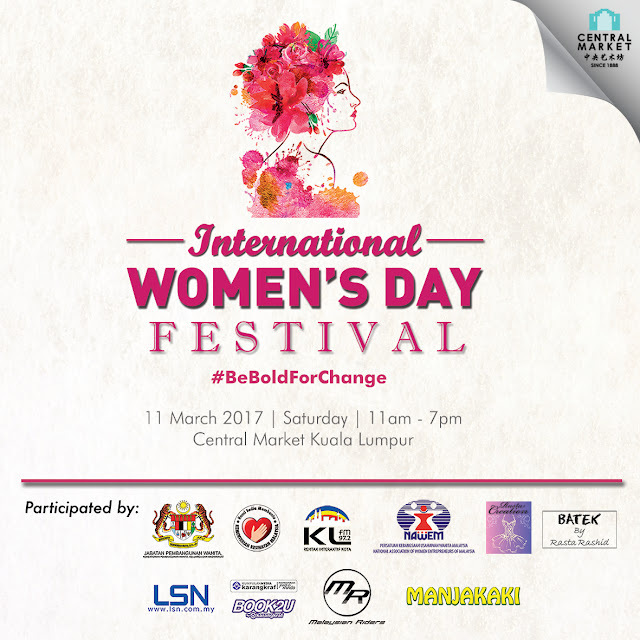 Catch all the fun on an International Women’s Day Festival at Central Market Kuala Lumpur, from 11am to 7pm this March 11. To get more information on events and promotions, visit www.centralmarket.com.my or www.facebook.com/centralmarketkualalumpur.